Services - Fort Collins Landscaping Experts | Advanced Landscaping & Sprinklers, Inc.
Advanced Landscaping & Sprinklers, Inc. is proud to be a leader of landscape installation and design services in Fort Collins. Whether you’re interested in updating your home’s current landscape design or want to install a state-of-the-art sprinkler system, our landscaping experts can help. From concept design to complete installation, our team of experienced landscape installation specialists is dedicated to building the outdoor environment of your dreams. When you contact Advanced Landscaping & Sprinklers, Inc. in Fort Collins, we’ll take the time to thoroughly understand your landscaping needs before recommending a professional solution. Our landscapers are dedicated to using the most sustainable landscaping materials available to ensure the long term appearance and health of your project. If you feel like your home’s current landscape could use some updating, or your lawn is too difficult to manage on your own, consider hiring a landscape renovation specialists. Instead of settling for an outdated and dull looking landscape, let our experienced landscapers turn your lawn from drab to fab! From new trees and bushes to hardscape changes, our certified landscapers can handle any sized project, big or small. 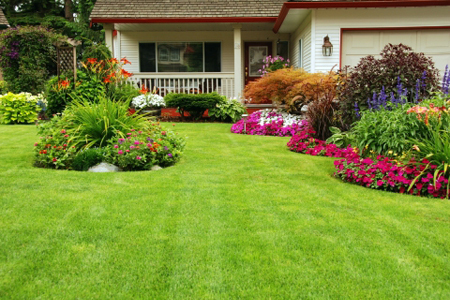 Are you looking for a dependable landscape and sprinkler service in Fort Collins? At Advanced Landscaping & Sprinklers, Inc., our landscape maintenance experts can help you stay on top of those daunting landscaping tasks. We offer a variety of maintenance services for your lawn and landscape to ensure your outdoor environment is healthy and beautiful. Whether you need seasonal lawn mowing services, tree trimming or leaf removal, we can handle all of your landscape maintenance needs. A properly designed and working irrigation system will help keep your Fort Collins landscape healthy and vibrant. If you’re considering installing an irrigation system in your front or back yard, contact our irrigation experts today! Our landscapers will work with you one-on-one to install your state-of-the-art sprinkler system in a quick and efficient manner. Has your current home sprinkler system bit the dust? Advanced Landscaping & Sprinklers, Inc. has helped hundreds of Fort Collins residents pinpoint and repair issues in their current irrigation system. When you contact our irrigation specialists, we’ll perform a full diagnosis of your irrigation system to address current and potential problems and recommend the best repair solution for your system. During the winter months in Colorado, the frost levels will inevitably extend below the depth of your current irrigation system. This can be a huge problem, as any extra water in your irrigation pipes can quickly freeze, expand and even burst, resulting in costly repairs. A professional sprinkler blowout can help increase the lifespan of your sprinkler system while reducing the risk of frozen pipes and emergency repairs. Have you always wanted to install a beautiful water feature or pond in your yard? At Advanced Landscaping & Sprinklers, Inc. in Fort Collins, our landscapers can provide everything you need to create an inviting outdoor space. By adding a flowing water feature or inviting pond to your landscape, you can upgrade your home’s curb appeal while creating a private, relaxing environment for you to enjoy. The snow accumulation in Colorado is no joke. Whether you need assistance clearing snow from your sidewalks or removing snow from your driveway, our snow removal experts have the experience and tools needed to get the job done right. If you’re looking for an experienced and trustworthy landscaping company to remove the snow around your property, contact our snow removal specialists today!